In previous versions you could only stretch endpoint grips of polyline segments. In AutoCAD 2011 you have additional grips displayed at their midpoints and they all became multi-functional. You can easily add or remove grips (vertexes), convert segments to Arc, etc. 1. Select a polyline in your drawing. 2. Hover over a grip to view all modifying options in shortcut menu: Stretch Vertex, Add Vertex and Remove Vertex. You can also convert polyline segments at its midpoint grips to Arc or back to Line segments. 3. Select one option, e.g. Add Vertex. 4. Left click new vertex to a different location. 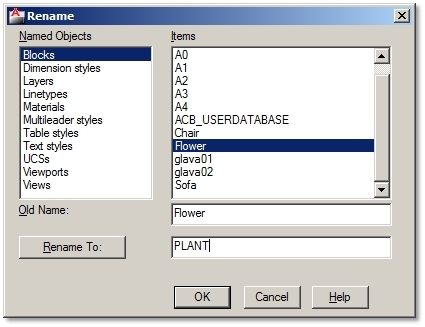 You can quickly apply properties of a selected object to other objects. You can specify which properties you want to copy to the destination object. 3. 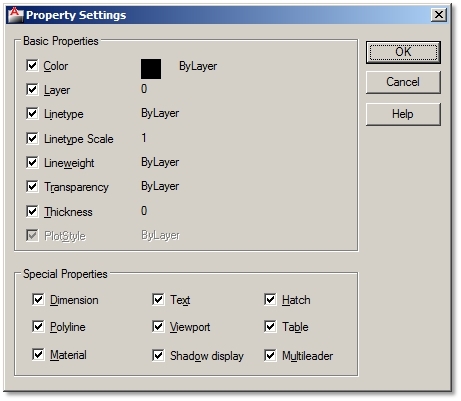 Specify the Settings [S] option to show Property Settings dialog box. If you erased an object using Erase, Block or Wblock command and continued to work before noticing that you shouldn’t have erased it, Undo command won´t bring it back. Type OOPS and the last erased object will be restored. You can easily make a copy of the selected object for rotation or scaling. 4. Specify the Copy option [C]. 5. Specify rotation angle or scale factor. If you don’t know the value of an angle to rotate or scale factor to scale your object, you might be able to show them graphically in your drawing. By referencing data you avoid getting it form your drawing (measuring angles and distances and even calculating them). 3. Specify base point – point 1. 4. Specify the Reference option [R]. 5. 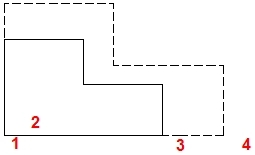 Specify the current reference angle – point 2 and 3. 6. Specify the new angle – type an absolute angle or pick a referenced point 4. 5. Specify the current reference length – point 2 and 3. 6. Specify the new length – type a new length or pick a referenced point 4. Trim and extend commands offer many secondary functions which users rarely know about. However, they could speed up your drawing process. If you want to trim and extend the same selected objects, you don’t have to use both of these commands separately. 2. Select and trim objects. 3. Hold Shift button and select objects to Extend. You can easily trim objects, if they end precisely at boundary edges defined by other objects. But if these lines don’t intersect or touch, you will probably extend them first to do so, and then trim them. Well, you can skip the extending part and trim lines to the edge of other line projection. 3. Specify the Edge option [E]. 4. Specify Extend [E] for edge extension mode. 5. Select objects to trim or extend. Extra tip: If extend edge extension mode is on and you´ve selected all objects in your drawing, projections of all lines in your drawing will act as boundary edges. You will probably have a hard time trimming and extending bit by bit towards your desired edge boundary. You might not know that you can use Copy and Paste commands in different ways. If you copy objects to the clipboard with a predefined base point, you will paste it much easier to the desired position. You can copy objects from one drawing to another to the same coordinates. 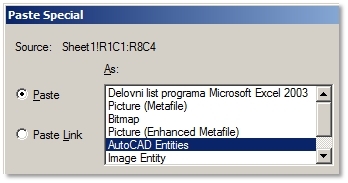 A more complex and detailed way of importing an Excel table into AutoCAD is by using the Table command. However, if you´re not too demanding, a simpler way will work just as fine. 1. Launch Excel and open your .XLS file. 2. Highlight the data you want to import. 3. Copy the data to Clipboard (Ctrl+V). 6. Paste as AutoCAD Entities. Some drawing items such as Layers, Styles, etc. are easy to rename. You just open their Manager palettes or dialog boxes and simply rename them. By doing so, you will have a lot more to click than just simply open one dialog box, where you have a list of all drawing items you can rename. For some items this might even be the only way to rename them. 1. Format / Rename or type in RENAME. 2. Named Objects options / Select item´s category. 3. Items options / Select the name of an item you want to rename. 4. In an empty space below the old name type a new name. 5. Click Rename to button.